Stand Out Home Improvements (SOHI) have been designing and building for over 10 years. We take pride on the quality and workmanship of everything we do and only use the best quality products to construct your project. We want you to feel confident in the quality and service you receive at all times so that you will go on recommending us to your friends, family or even the neighbours. 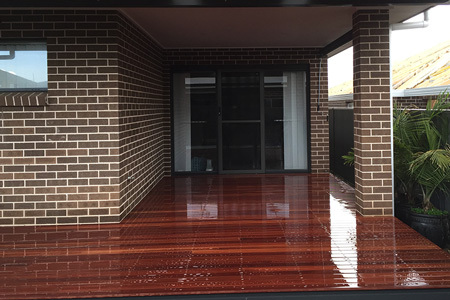 Primarily based in the Macarthur region South West of Sydney, we have completed hundreds of jobs including carports, awnings, screen enclosures, timber decking and even privacy screens all over Sydney and the Southern Highland areas. We want your next pergola, decking extension or outdoor screen enclosure to stand out from the rest. We guarantee you will love the transformation and will enjoy the quality of our work for many years to come. Make sure you give us the opportunity to quote your next project, we guarantee you wont be disappointed. When your adding an extension to your home or office space there can be a lot of things to consider and not done carefully will only cost you more money in the long run. Failing to submit correct council development applications, obtaining appropriate approvals, using unqualified builders or trades and the use of poor quality materials are just some of the nightmare work we have witnessed firsthand. Enough of the doom and gloom, because with us we take away all the guessing and stress of getting your home improvements done. You can take peace of mind knowing that we have been doing this for over 10 years, we have a quality reputation, we work with local councils, we understand development applications and most importantly, we keep you in the loop throughout the entire process.